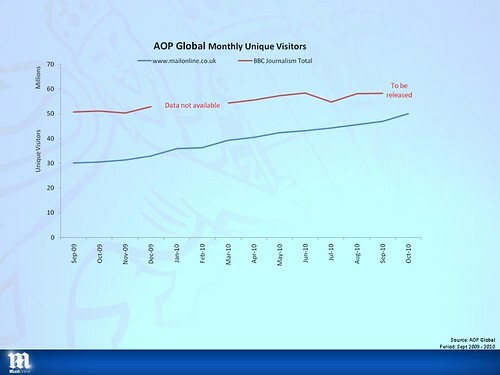 Mail Online has become a global phenomenon – the second biggest newspaper website in the world, set to report more than 50 million unique users a month in the next ABCe figures and closing fast on the BBC’s online journalism output. So when Mail Online publisher Martin Clarke offered to share the secret of his success at the Society of Editors Conference in Glasgow he commanded the rapt attention of the hall. There’s an extensive Press Gazette report of his speech here, and some video highlights here. 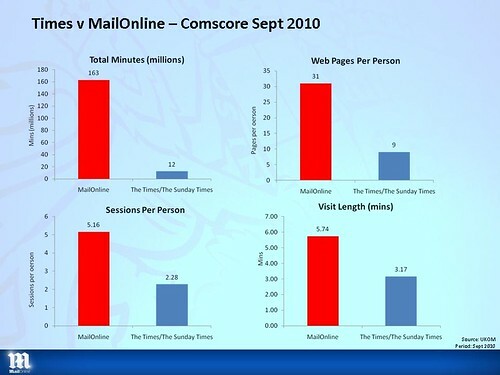 The data suggests that readers spent 163 million minutes with Mail Online versus 12 million with The Times and Sunday Times over the month; that the average reader visited 31 Mail Online pages in the month versus nine for the Times titles; and that the average Mail Online visit was 5.74 minutes versus 3.17 minutes for The Times/Sunday Times. Pretty amazing stuff. Now admittedly, many of these Times readers may have arrived at the home-page only to find themselves locked out by the paywall – but the data will also include much one-story reading plankton drifting in from around the web to Mail Online. 2. Integration of editorial teams is not the most efficient use off resources. Clarke emphasised that Mail Online has its own discrete editorial team which works in partnership with the print journalists, but is focused purely online. This goes against the integration strategies adopted by The Guardian and Telegraph Media Group, but evidently has been much more successful. While web traffic growth for the former online market leaders has started to plateau, Mail Online is growing faster than ever. 3. Making newspaper content available for free online (on a national morning title at least) does not harm newspaper sales. 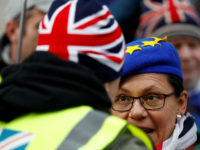 Clarke said he could back this up with research carried out among more than 100,000 Mail readers which found that those who also used the website bought twice as many copies as Mail readers who read other websites. 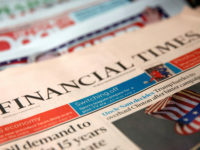 It is worth noting that in September, as well as having the biggest and fastest-growing national newspaper website – the Daily Mail had the best-performing print circulation of any national newspaper title, down 1.3 per cent year on year to an average 2.1m copies a day. 4. Trust your journalistic instincts rather than advice from techies when it comes to deciding what will work best online. Mail Online has succeeded because it does what newspapers have always done, it tells fascinating stories clearly with great headlines, punchy words and brilliant pictures. The stories that do best for us are the stories that have always sold newspapers. Human interest, crime, consumer issues, gossip, showbusiness and political stories that relate to people’s real lives. I don’t think we’ll ever win any web design awards, we haven’t come up with any great technological advances and we ignored pretty much everything even our own techies told us we should do. We designed the site around the content and then built a web publishing system ourselves so we could edit it the way we wanted. 5. Social media is massively important when it comes to marketing your content online. 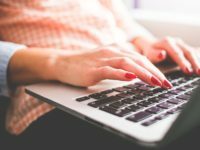 Clarke revealed that Facebook is his biggest source of traffic, after Google, accounting for around 10 per cent of referrals. If you take out people who type Mail Online, or Daily Mail, into Google – it’s the biggest referrer he said. Clarke revealed that when Facebook went down recently, Mail Online’s home-page suffered a 25 per cent drop in traffic – which is weird, considering that most Facebook links would be to individual stories, rather than the homepage, but no-doubt also significant. The web is one big conversation. A free conversation. People send each other their new baby pics, the joke they heard in the pub, and, yes, a link to something they saw on a news website. On Facebook, via Twitter, or even by email. 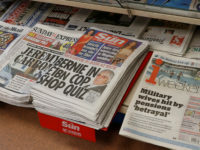 Saying that journalists should see Facebook as “a gigantic free marketing engine” Clarke revealed that Mail Online’s five-fold traffic increase in the space of little more than three years had been achieved without spending a penny on marketing. I think a couple more of Clarke’s slides are worth giving a wider airing. 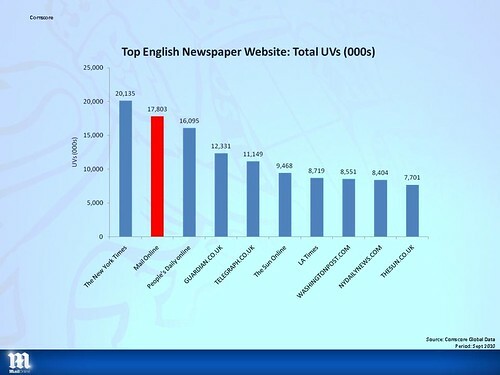 Here is data for September showing Mail Online as the second biggest newspaper website globally on 17.8m unique viewers (that’s Comscore figurea rather than ABCe ) with the Guardian, Telegraph and Sun also in the top ten. As Clarke noted, UK journalists can really count themselves blessed that English has become the language of the internet.